Before there was cloud rap the genre, there was cLOUDDEAD, a group that were too avant garde for mass appeal, but did their part in pushing the boundaries of hip hop. The earliest Anticon records always seemed anti-pop in to our ears in '01. Perhaps it was the outlandish “advancement of hip hop” claims that marred their reputation. Maybe it was the lack of training our ears had when it came to synthesizing ambient and noise with hip hop. Listen to the 10″s cLOUDDEAD released now and it makes perfect sense. It's not even all that bizarre anymore either. We just never had a good name for it back then. Some Oakland folks put the pieces together. Cloud rap. cLOUDDEAD. cLOUDLIFE. 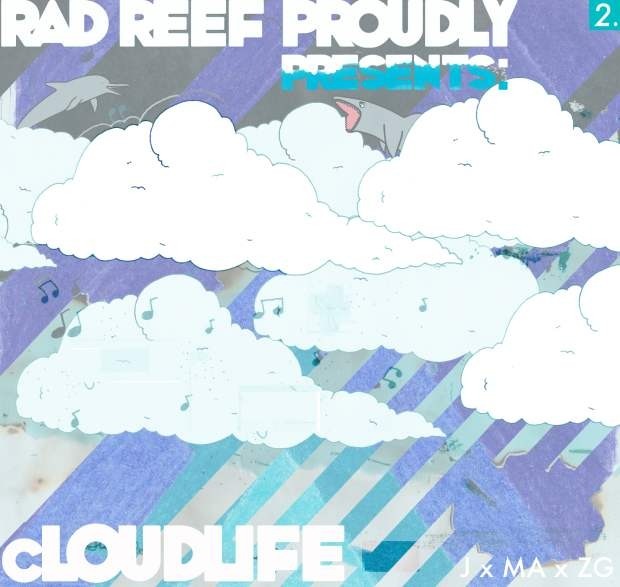 Producer Zach G with the help of Rad Reef connected the cloud rap connoisseurs for a four song EP featuring two Jel and Odd Nosdam beats for MondreMAN and Squadda B. While it's not technically cLOUDDEAD (the group consists of Dose One, Yoni Wolf and Odd Nosdam, not Jel), it is a finely crafted bridge that took over a decade to construct. It's a closer connection than Sole had with Lil' B and produces far better results. Dose One and Yoni always made the albums weird, but Odd Nosdam and Jel were the tradionalists in drum pattern awareness. Main Attrakionz sound at home on “Chap 3”. Jel takes a trap rap minimalist approach, but filtered through west coast bass music.